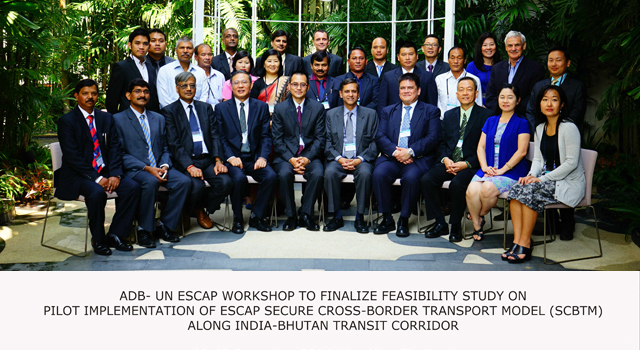 The Finalization Workshop on the Feasibility Study of the Pilot Implementation of the Secure Cross-Border Transport Model (SCBTM) between India and Bhutan along the Kolkata-Jaigaon-Phuentsholing Route (the Workshop) was conducted on 10–12 December 2014 in Hua Hin, Thailand. Co-organized by the Asian Development Bank (ADB) and the United Nations Economic and Social Commission for Asia and the Pacific (ESCAP), the Workshop reviewed, revised, and finalized a feasibility study report on the use of the ESCAP SCBTM, based on a limited pilot run held from 30 June to 9 July 2014 and trial runs conducted on 1-5 September 2014. 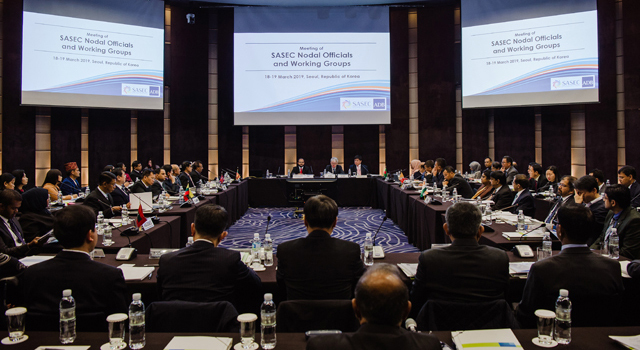 The Workshop shared lessons learned from the encouraging results of the real-time cargo tracking along the corridor, proving the workability of the system server, connectivity, and data storage, during the test runs of the SCBTM. It also recommended creating additional technical documentation as a guide to avoid technical errors. Various chapters of the feasibility study were discussed thoroughly during the Workshop. Suggested revisions include emphasizing the study rationale; elaborating crucial elements of the pilot implementation and critical findings during the test and trial runs; and presentation of technical options available, their financial implications, and financing options. The revised study will focus on expected outcomes of the SCBTM, and include benefits of streamlining regulatory processes through the SCBTM, such as its contribution to reduction of carbon emissions through more efficient management of trucking fleets. 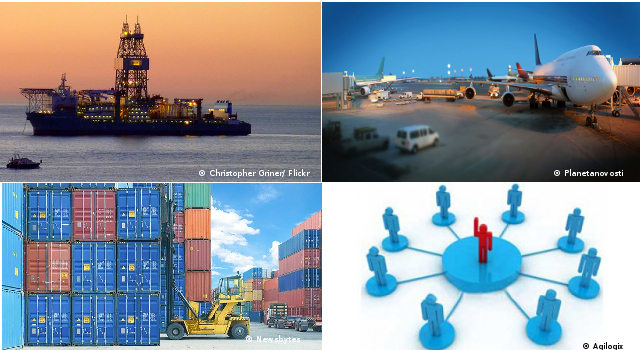 Arrangements for a SASEC Transport Facilitation Workshop (to include session to endorse study report) at end-February 2015. 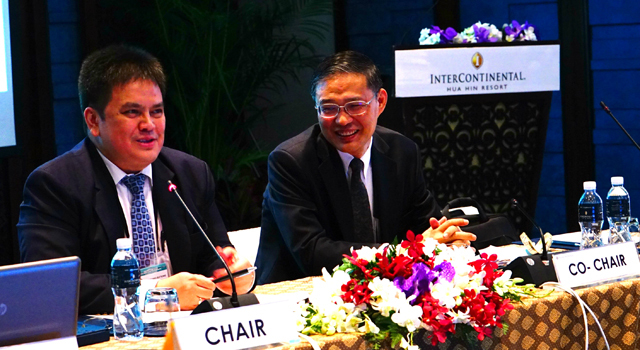 Mr. Li Yuwei, Director, Transport Division of ESCAP and Mr. Ronald Antonio Butiong, Principal Regional Cooperation Specialist and South Asia Subregional Economic Cooperation (SASEC) Unit Head, Regional Cooperation and Operations Coordination Division, South Asia Department, co-chaired and co-moderated the Workshop. Mr. Yonten Namgyel, Director, Department of Revenue and Customs, Ministry of Finance, headed the Delegation of the Royal Government of Bhutan, and Mr. Sandeep Kumar, Commissioner, Central Board of Excise and Customs, headed the Delegation of the Government of India. 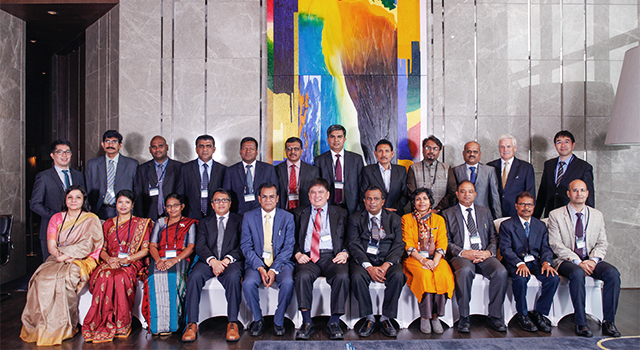 Workshop participants included officials from customs administrations, and ministries of transport and information and technology from the Governments of Bhutan and India, private-sector stakeholders from the two countries, and staff and consultants of ADB and ESCAP.